a YEAR is spent on the pokies in Australia. 40% of this comes from PROBLEM GAMBLERS.  Pokies are in Australian pubs and clubs OVER HALF are in NSW. Of Australia's PROBLEM GAMBLERS have a problem because of pokies in our pubs and clubs. is the amount spent by clubs NSW on POLITICAL DONATIONS over the last 15 years. year olds spend MORE on the pokies than any other age group. of our pokies are found in NEIGHBOURHOOD pubs and clubs. of SUICIDES reported at Victoria's Alfred Hospital are related to a pokies addiction. PEOPLE are seriously affected by every ONE problem gambler. of Australians SUPPORT policy to make pokies SAFER. is COLLECTED every year from taxes on pokies. This represents around 5% of state revenue. areas with the biggest losses are Sydney’s most DISADVANTAGED suburbs. The Conversation: How real are claims of poker machine community benefits? PLEASE CHECK your inbox for our confirmation email.